When deciding on a destination for a family vacation, you might find it hard to choose with so many cheap package holidays on offer. One thing that has to take priority, however, is what a particular destination can offer the kids. Having good weather, cheap food and drinks and a good hotel are important, but add a couple of bored kids to the equation and it becomes a vacation that will be remembered for all the wrong reasons. The huge crewed catamaran in Catlanza offers an ideal adventure for kids. Kids will love being aboard and will relish the opportunity to help the crew with various tasks such as raising the sails. The catamaran eventually weighs anchor near some beautiful beaches where the kids will have the opportunity to learn snorkeling or experience a jet ski ride with qualified instructors - all in complete safety. Who could resist a chance to take an hour's trip in the 'Yellow Submarine' at Puerto Calero? This specially-designed submarine takes you down to another world to see the variety of natural marine life, swimming around as you watch from the comfort and safety of the large viewing ports. The kids will be enthralled, and so will the adults. Take a trip up to Guinate Tropical Park in the Northern part of the island. This park has within its vast tropical gardens, waterfalls, lakes and countless cockatoos and flamingos. 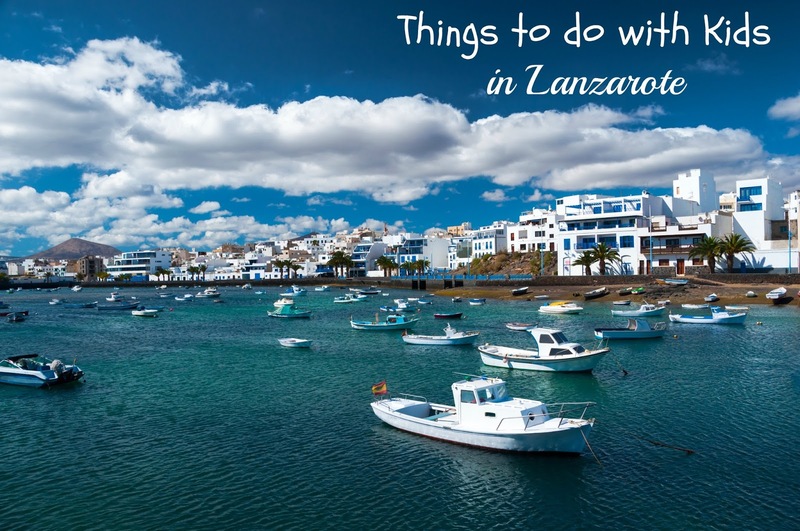 There's so much to see and do all over Lanzarote that hiring a car is a must. A hired car enables you to visit any of the more than ninety beaches that are dotted all around the island's coast, or to visit go-karting, and horse riding centers in various locations in Lanzarote. Whichever you choose, you can be sure that the kids will never be bored and will come home filled with happy memories, and maybe even some skills and knowledge, that will last them a lifetime. That picture is breathtakingly beautiful! There are so many gorgeous and fun places to visit in our country with the family that I have never really had a real desire to travel elsewhere. This is now on the list! Okay the "A Submarine Safari" is a great way to go beyond a pretty cool expedition. This would be super fun to do with the kids. Great learning experience too.